REUTERS/Luke MacGregorChancellor George Osborne (left) and John Redwood. John Redwood, the Conservative MP for Wokingham who supports Britain exiting the European Union, says “political risks” — like the Brexit referendum he supports — are now the main concern for investors in the UK. His contradictory warning comes after he made an astonishing speech in September in which he threatened British businesses with payback if they waded into the Brexit debate against him and his anti-EU supporters. And that speech came after remarks during the Scottish independence referendum campaign when he expressed dismay over businesses who argued in favour of keeping the country together. So yes, Redwood’s views are complicated. He appears to be both the cause of, and the warning for, the Brexit risks he’s worrying about. Tough words. It almost sounds like a threat: Shut up, or we’ll come after you. Weeks later, Redwood has mellowed a bit. In an interview with Business Insider in his capacity as chairman of investment company Evercore Pan-Asset, Redwood said that the surprisingly narrow victory for the government in September’s Scottish independence referendum had shocked investors, making Britain look like a more risky place to park money. The UK has suffered from both the Eurozone crisis but also from investor worries about political risk. The political risks first started to become apparent when the Scottish referendum was looking a bit close and have carried on due to uncertainty over who will be governing after next May. The polls are very inconclusive and no one at this stage can be confident in any of the parties gaining a majority in the general election next year. Markets are trying to price in the risks of different governments and their policies. The fact that the Conservative Party has promised to hold an in/out referendum on the UK’s membership of the EU if it wins a majority in the next parliament will be top among these risks. The referendum pledge has been seen as an effort to halt the rise of the UK Independence Party (UKIP) with its staunchly euroskeptic views luring disaffected Conservative backbenchers over to its cause. So far, two Conservative MPs have defected to UKIP, with the party threatening to erode the Tory’s traditional voter base at the general election next year. Recent polls put UKIP on course to win as much as 17% of the national vote. And here’s the problem. The Scottish independence vote shook the market’s confidence in the mainstream parties’ ability to run an effective campaign against a populist cause. For some, it also demonstrated the power of the private sector to sway the electorate. On the eve of the vote, large firms including John Lewis, Asda and Marks & Spencer warned that the price of consumer staples such as food and clothing would rise in the event of independence. 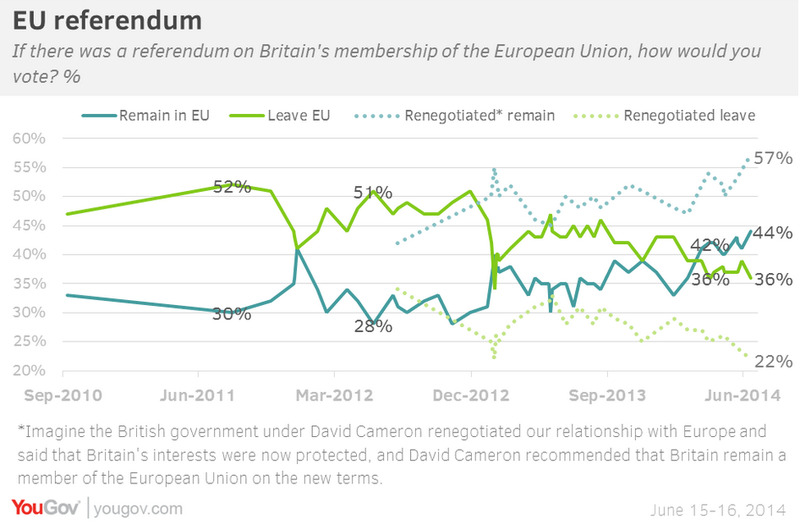 The vote then went in favour of staying in Britain. I find the dash of many retailers to tell us things might be a bit dearer in Scotland if they vote for independence odd … It looks as if they simply wanted to play politics, and they may find out there is a cost to them. Now he’s saying the same thing, but for the opposite reason: He wants businesses to stay silent again, but this time it’s the pro-union companies he wants muzzled. Business Insider: What are the major risks investors are worrying about at the moment? 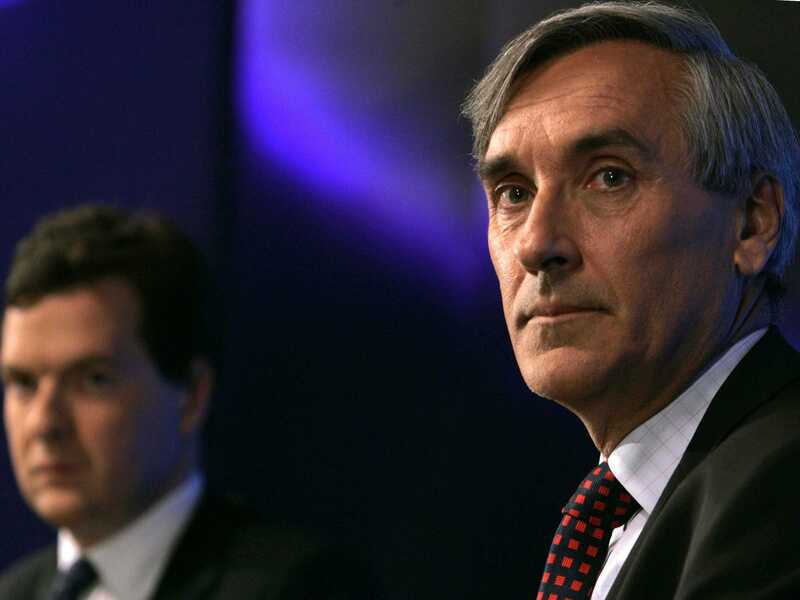 John Redwood [JR]: We take both a strategic and a tactical view. We can have an asset class like Chinese shares, which we are long-term bulls on, but you may not want to hold them for a year or two if the market mood turns against them. We have strategically been worried about the Eurozone for some time as we feel its leaders haven’t managed to tackle the underlying problems — they still don’t have a mechanism for transferring money from the rich to the poor parts of the zone as you do in the dollar or the sterling area. They have problems rerouting the German surplus to deficit countries, forcing the latter to run a surplus with the rest of the world. Until they solve that general problem the Eurozone is likely to suffer repeated crises and is going to be an area of relatively low growth. BI: So is your base case a break-up of the Eurozone or its survival? JR: My base case is that the euro survives by continuing to muddle through. The way they do this is a very reluctant Germany being compelled to ease its stance of blocking moves for the ECB to buy bonds or for governments to improve the transfer mechanism between surplus and deficit countries. However, you should expect regular jolts. We’re having another painful jolt at the moment awaiting the results of the bank stress tests and having German legal action over the powers of the ECB. It is a bit destabilising when the most successful economy in the zone is taking the central bank to court. It’s going to be a difficult process but I think in the end Germany is going to have to give ground. If support for anti-euro parties such as the Alternative for Deutschland party [known as the AfD] rises substantially, however, I would have to revise my view. BI: How vulnerable is the UK to a decline in investor confidence in Europe? JR: The UK has suffered from both the Eurozone crisis but also from investor worries about political risk. The political risk first started to become apparent when the Scottish referendum was looking a bit close and have carried on due to uncertainty over who will be governing after May. 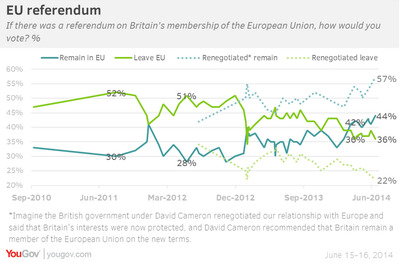 BI: Would these concerns be concentrated around the possibility of another referendum on the UK leaving the EU? JR: Well there are all sorts of political worries, yes. Prior to any referendum, which would require a Conservative majority government, there’s a lot of consideration about who might form a government. The polls are very inconclusive and no-one at this stage can be confident in any of the parties gaining a majority in the general election next year. Markets are trying to price in the risks of different governments and their policies. BI: Did the Scottish referendum underline the fact that the market was too complacent about the risks of binary in/out votes? JR: I think for the first five months of the year the markets in the UK were very optimistic as the economy was speeding up and the outlook was getting better and better. People started to think about these risks at the start of the European Parliament elections and they really hit home during the Scottish referendum. BI: Could rolling political risks in the UK pose a challenge for plans announced by the major parties to reduce the country’s budget deficit? JR: Markets were reassured that both the government parties and the opposition are agreed that the deficit has got to come down — although there are disagreements over how far and how fast. It’s much easier for the UK to be an attractive prospect and a sound borrower because it controls its own money. The reason it got so difficult for countries like Greece, Portugal, Spain and Ireland within the euro is that they didn’t have the option of simply creating their own money to meet their commitments and had to live under German-led ECB controls, which made it much more difficult for them. I think the plans for fiscal consolidation are necessary and helpful. The US undertook similar fiscal consolidation under Obama that didn’t get nearly the same level of attention, and it didn’t impede a good American economy. The recovery got underway there sooner even though, or perhaps because the US was taking stronger action earlier on the deficit. Deficit reduction targets are about eliminating the structural deficit. If the world economy plunged then I’m quite sure that whoever is in power will think that a cyclical adjustment would need to be made if the growth that you expect doesn’t materialise. BI: What are the most important signals that markets are currently looking out for? JR: To me the most important things to look out for are interest rates and confidence levels. Broadly we’re still in a world where all the main jurisdictions want to keep interest rates very low and you haven’t got any major economies where you can see the need to jack up interest rates to head off inflation. This should mean a pretty benign outlook for equities. The Bank of England has been leading us to believe that interest rates will go up early next year, but investors looking at the slide in oil prices and below-target inflation are now thinking it might be lower for longer.